The voices of small business owners are especially important this year, as the Supreme Court is considering the Masterpiece Cakeshop case and dangerous religious exemptions that could undermine state and local protections around the country. 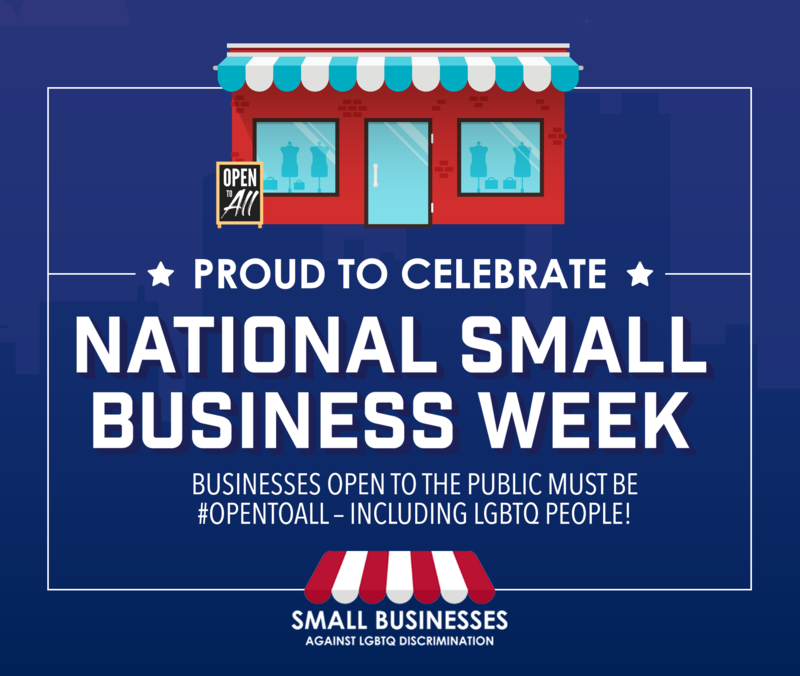 During National Small Business Week, April 29–May 5, members of Small Businesses Against LGBTQ Discrimination are taking to social media to share their support for LGBTQ–inclusive nondiscrimination protections. 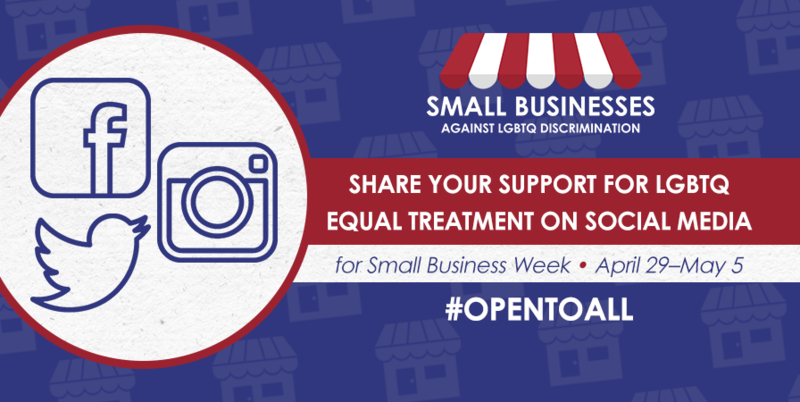 During Small Business Week – April 29–May 5 – members of Small Businesses Against LGBTQ Discrimination are sharing their support on social media. Please get in touch with Adam Polaski at apolaski[@]freedomforallamericans.org if you need help developing content to share on social media. 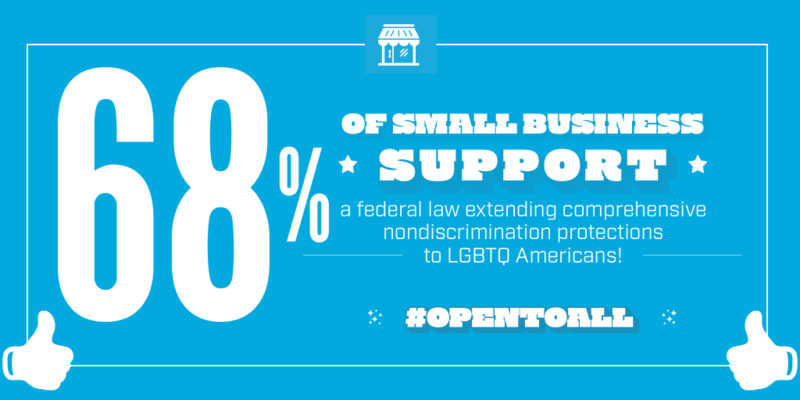 Use a graphic – including the graphics we have prepared through Small Businesses Against LGBTQ Discrimination here. 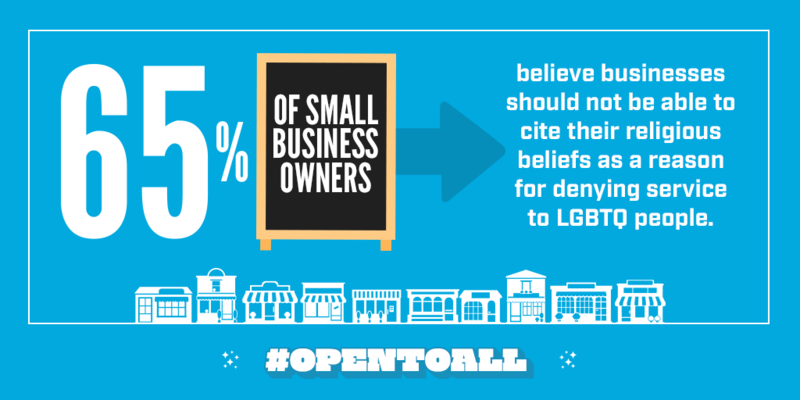 Personalize it by explaining what your business is, why LGBTQ equal treatment is important to you, why you support your LGBTQ customers, and what it means to you to be #OpenToAll. Include the hashtag #SmallBusinessWeek so you can get engaged in the national conversation about values that matter to small businesses during National Small Business Week. Tag @Freedom4AllUSA on Twitter so we can retweet! Feel free to use any of these social media graphics in your posts!